This review originally appeared last year at Film Noir of the Week. William Castle is best remembered as the P.T. Barnum of schlock cinema. Castle was a director, producer, and huckster who sold his flicks to the public with brilliant gimmicks. Anyone who bought a ticket to Macabre (1958) was insured by Lloyd’s of London against “death by fright” while watching the picture. People who went to see The Tingler (1959) took a chance that they might be joy-buzzed if they were lucky enough to sit in one of the right seats. And people who bought a ticket to see the Psycho-inspired film Homicidal (1961) were promised their money back if they walked out during the one-minute “Fright Break” before the climax of the film. Provided, that is, they were willing to stand on display in the “Coward’s Corner” in the lobby until after the film ended. What people tend to forget, however, is that before he made Macabre, Castle was a hard-working, dependable director of low-budget studio pictures. 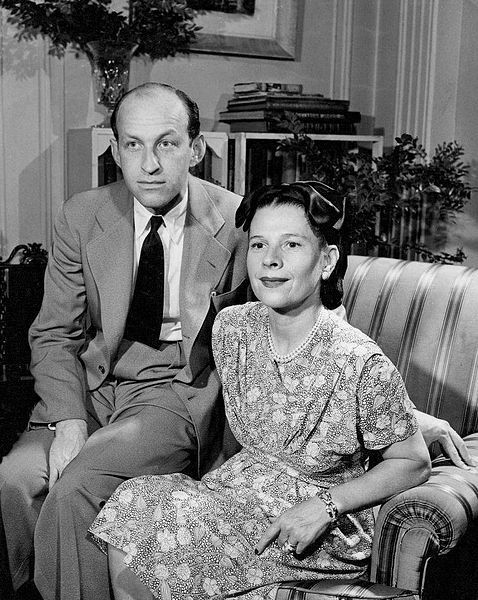 He was under contract at Columbia Pictures from 1944 to 1947, where he made several films in the Whistler series and the Crime Doctor series, as well as B noirs like When Strangers Marry (1944), which starred Robert Mitchum and Kim Hunter. 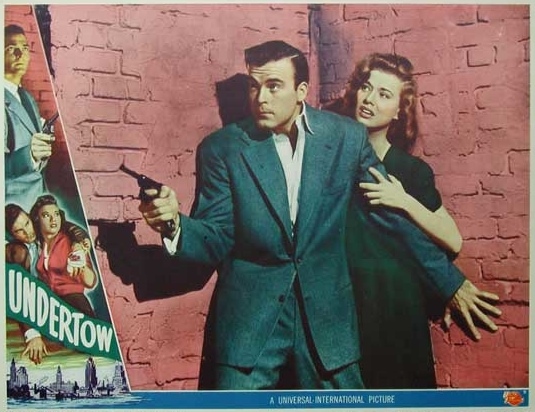 While under contract with Universal in 1949, Castle directed two B noirs, Johnny Stool Pigeon, which starred Howard Duff and Shelley Winters, and Undertow, which starred Lawrence Tierney’s little brother, Scott Brady. Just like his big brother’s loony film noir classic Born to Kill (1947), Undertow starts out in “The Biggest Little City in the World” — Reno. 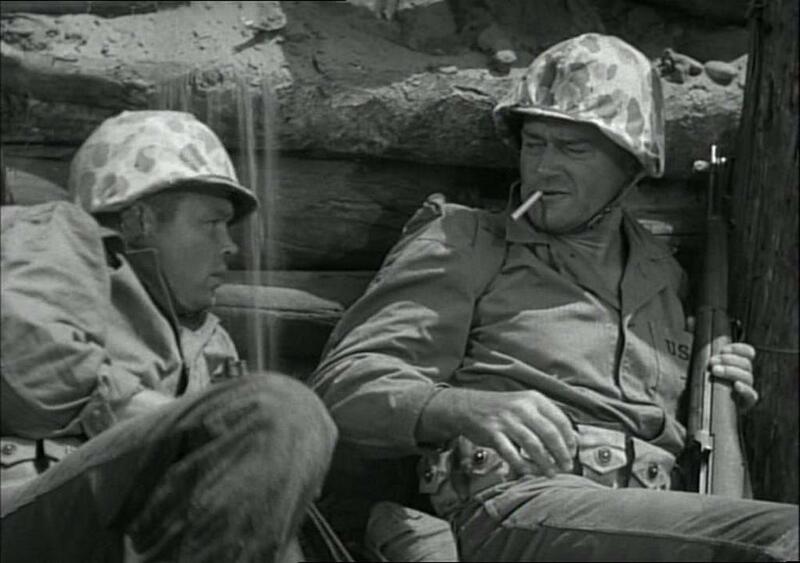 Brady plays a good-natured, average guy named Tony Reagan who’s just gotten out of the Army after a seven-year stint (he stayed in for another hitch after the war). All Tony wants to do is help his dead war buddy’s dad run the Mile High Lodge, 40 miles north of Reno, and spend the rest of his days hunting and fishing. The only thing he has to do first is fly to Chicago to see his best girl, Sally Lee (Dorothy Hart), and convince her uncle — gambler “Big” Jim Lee — that he’s good enough to marry her. As I said, Tony is a good-natured, average guy, and even though he knows his way around a craps table, he’d rather put that part of his life behind him. If you’re a fan of film noirs, however, you know that good-natured average guys who’ve just rotated out of the service are statistically the most likely people to have a murder rap pinned on them and be forced to flee from both the cops and the bad guys. Arthur T. Horman and Lee Loeb’s screenplay for Undertow is standard stuff. It’s fine for what it is, but it’s not that different from any number of other B noirs about an innocent man on the run. However, Undertow is worth seeking out for several reasons. First off, the direction is great. 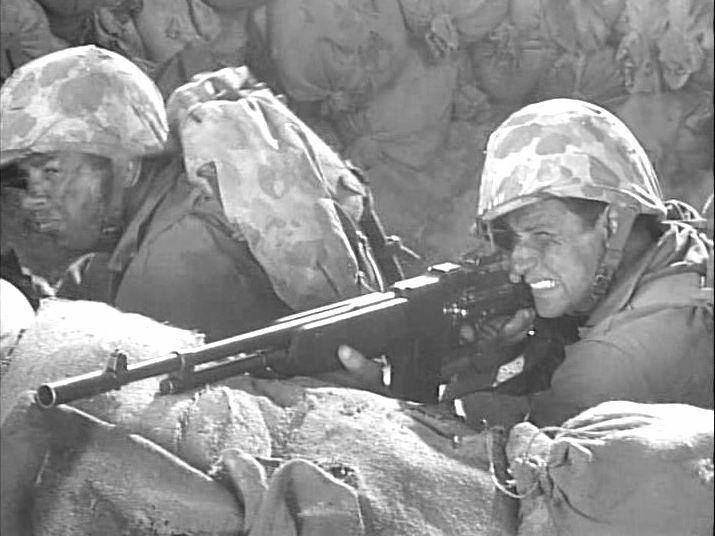 Castle knew how to make an entertaining, fast-moving film, and Undertow is one of his better pictures from the 1940s. Another reason to see Undertow is all of the location shooting in Reno and Chicago, which is rare for a 70-minute programmer. Castle does more than just throw in a few establishing shots. When Tony Reagan first arrives in Chicago, he heads for the Palmer House hotel, then attempts to lose a police tail while walking down South Wabash Avenue and running up into the elevated train station on the corner. Two scenes in Undertow take place at Buckingham Fountain, and at one point Tony meets his friend Ann McKnight (Peggy Dow) and his girlfriend Sally at the John G. Shedd Aquarium. The people in the background in the street scenes don’t look like Hollywood extras, either. 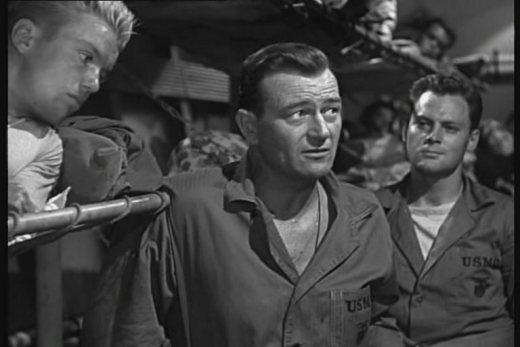 Another reason to see Undertow is to catch Rock Hudson in a very small role. 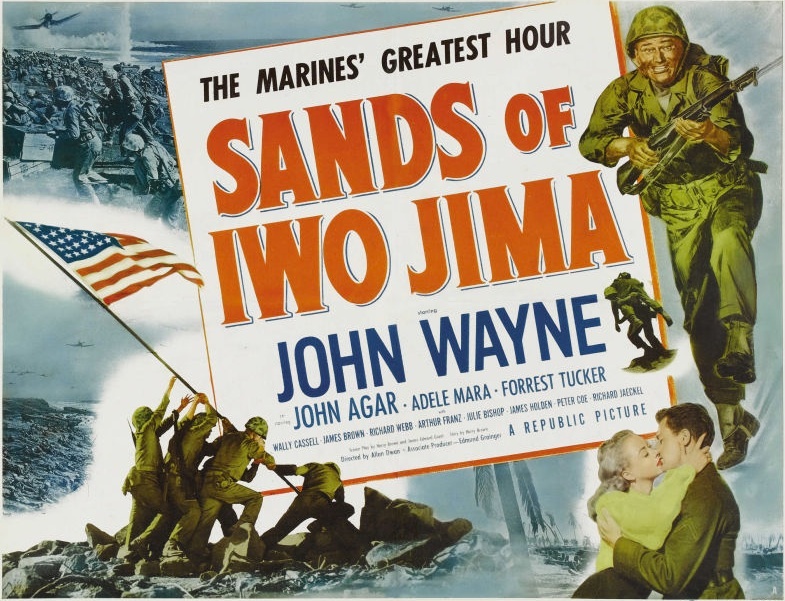 This was the first credit Hudson received for a motion picture. 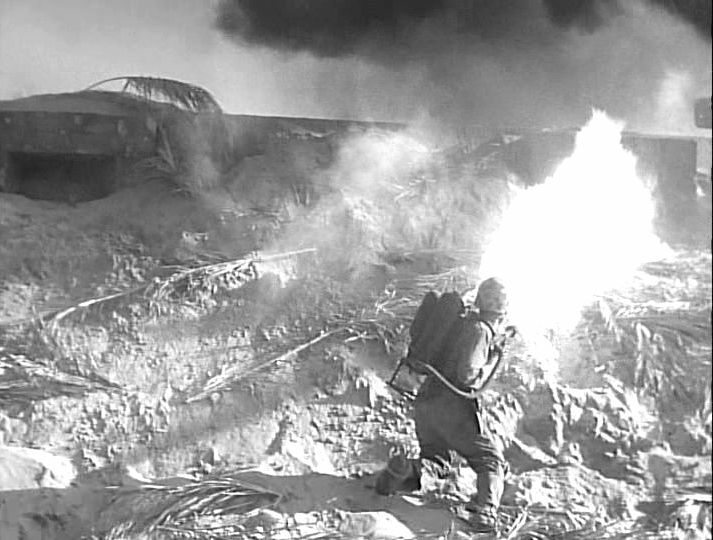 He previously appeared in one other film, Fighter Squadron (1948), but his name didn’t appear in the credits. In Undertow he’s credited as “Roc” Hudson. He appears as a Chicago police detective for about one minute toward the end of the film in a scene in which he discusses a case with Det. Chuck Reckling, played by Bruce Bennett. 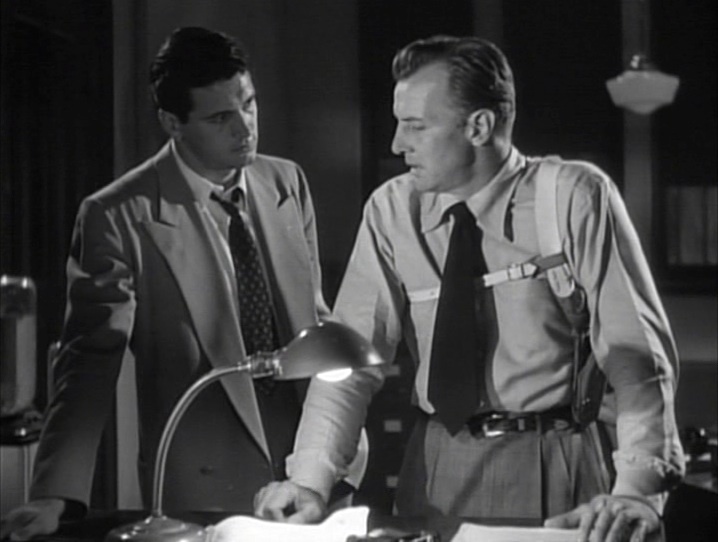 I’ve seen a lot of Lawrence Tierney’s films, but I’ve only recently seen films starring his younger brother, Scott Brady (whose real name was Gerard Kenneth Tierney). Brady very closely resembles his older brother. It would probably be difficult for most people who’d never seen either of them before to tell them apart. 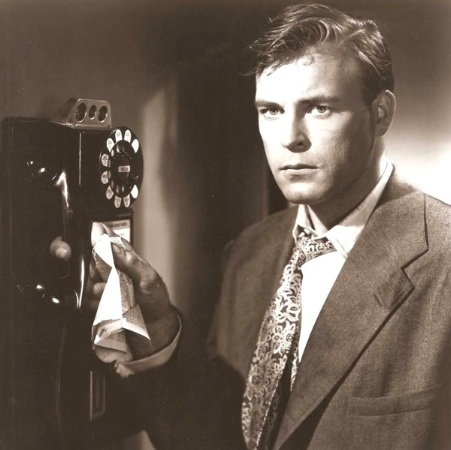 But while Lawrence Tierney played nasty, sociopathic characters the way other actors pick up the phone and say, “Hello?,” Scott Brady projected a general air of decency. From what I’ve seen of him so far, his performances aren’t as memorable as Tierney’s, but he’s perfect for this kind of role. Finally, one last reason to see Undertow is for some truly outstanding bits of noir photography by Castle and his cinematographers, Irving Glassberg and Clifford Stine. 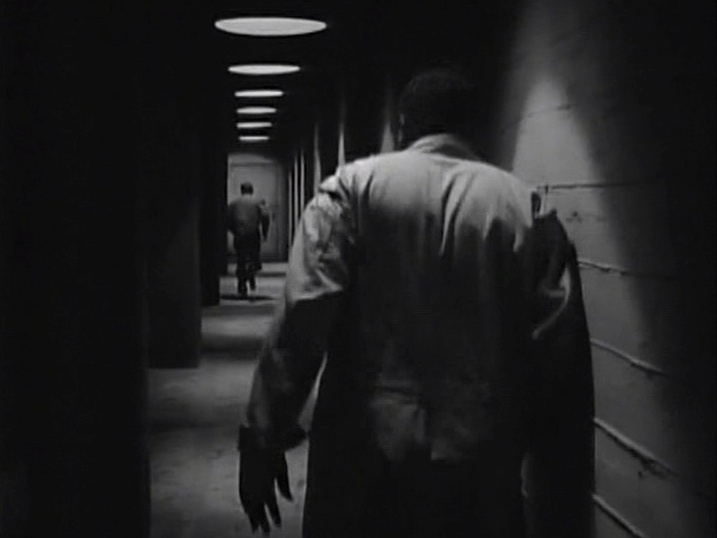 The location shooting establishes the world of the film nicely, and is fascinating from a historical perspective, but it’s scenes like the climactic chase down a dark hallway that really tie the film together. Posted in 1949, December 1949 and tagged Bruce Bennett, Chicago, Dorothy Hart, Film Noir, John Russell, Peggy Dow, Rock Hudson, Scott Brady, Universal Pictures, William Castle. Bookmark the permalink. 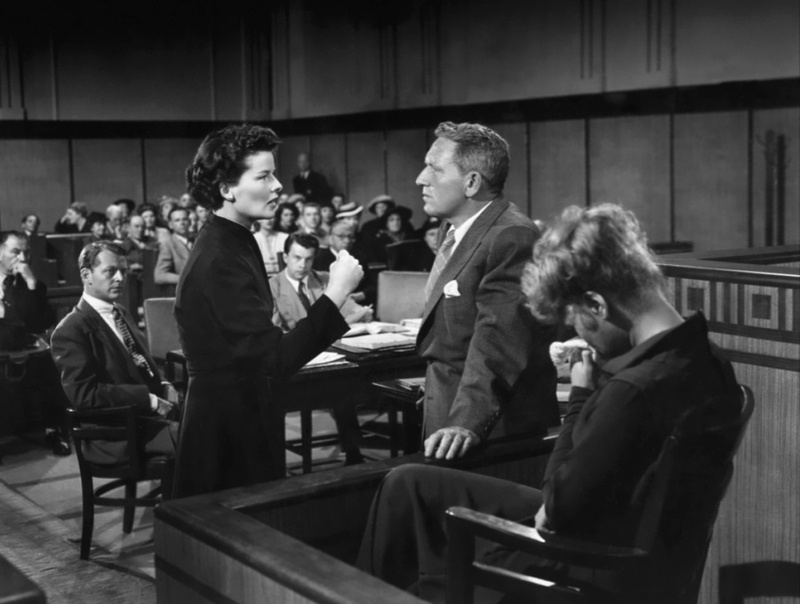 I recently did an MGM double bill and watched John Berry’s Tension right after I watched George Cukor’s Adam’s Rib (1949). 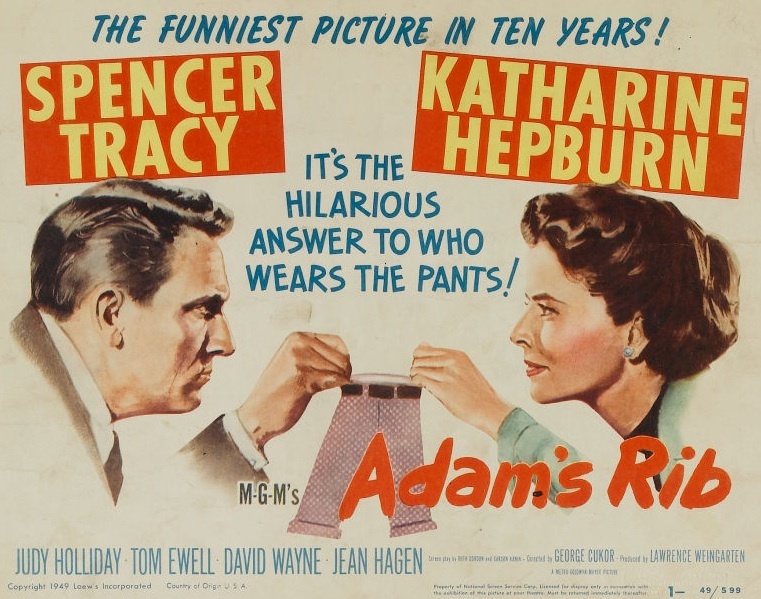 After the wit, charm, and progressive gender politics of Adam’s Rib, I was turned off by the first reel of Tension and its tale of infidelity and murder. 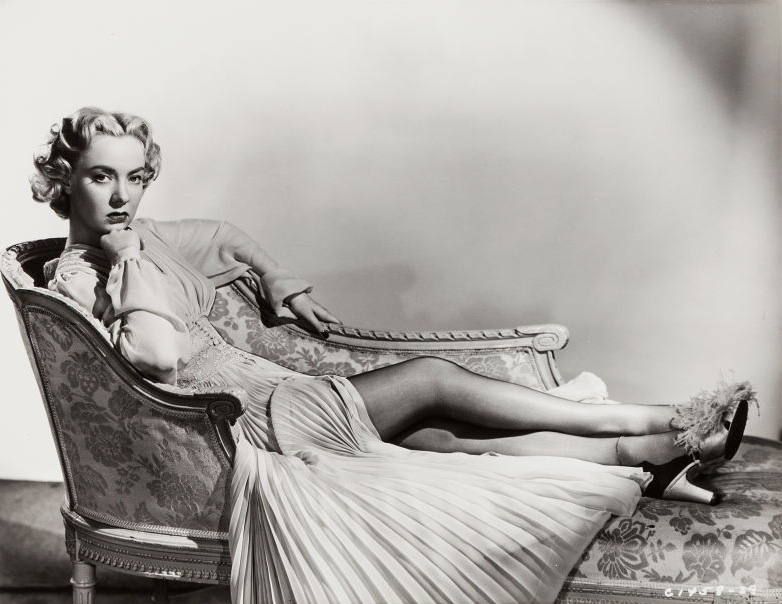 Audrey Totter is the classic femme fatale with no motivation, backstory, or realistic psychology. She’s just bad because she wants to be. Ditto for her nebbishy husband played by Richard Basehart, who puts up with being cuckolded to such a ridiculous degree that I wanted to reach into the movie, slap him around, and tell him to stop deluding himself and just get a divorce, already. But after the plot took one crazy turn after another, Tension totally won me over. The plotting is byzantine but never confusing, the performances are all solid, Allen Rivkin’s screenplay (based on a story by John D. Klorer) is clever and engaging, the score by André Previn is terrific, and the film offers a chance to see the lovely Cyd Charisse in a rare non-dancing role. Also, as an MGM production, Tension looks absolutely fantastic, and features a lot of great location shooting in and around Los Angeles. 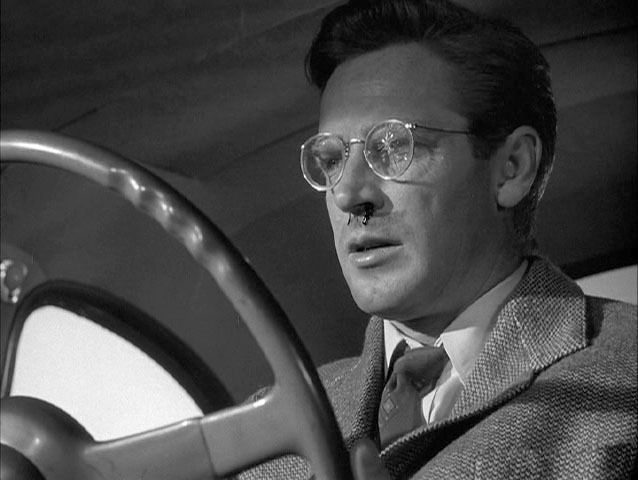 Richard Basehart brings the same chameleonic everyman qualities to his role in Tension that he brought to his role in He Walked by Night (1948). Unlike that film, however, Basehart isn’t a trigger-happy sociopath in Tension, he’s just an average guy who changes his appearance to commit murder after he’s pushed to the edge by his cheating wife. 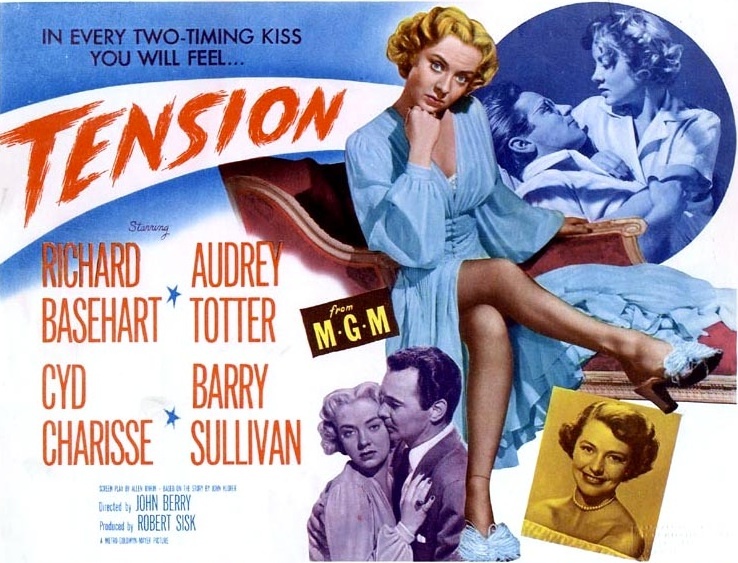 Basehart plays a pharmacist named Warren Quimby who works the night shift to make enough money to buy a house in the suburbs for himself and his wife, Claire (Audrey Totter). Unfortunately, she’s as faithless as the day is long, and she runs off with a hairy, knuckle-dragging he-man named Barney Deager (Lloyd Gough). After Barney Deager beats the tar out of Warren Quimby when he confronts Deager and his wife on the beach, Quimby vows revenge. He gets a pair of contact lenses to change his appearance and moves into an apartment under an assumed name. 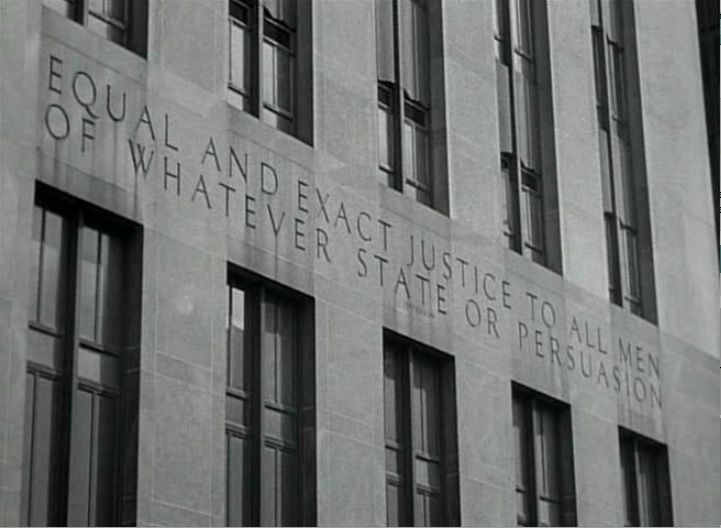 By creating a person who doesn’t exist, he thinks he’ll be able to murder Barney Deager and get away with it. 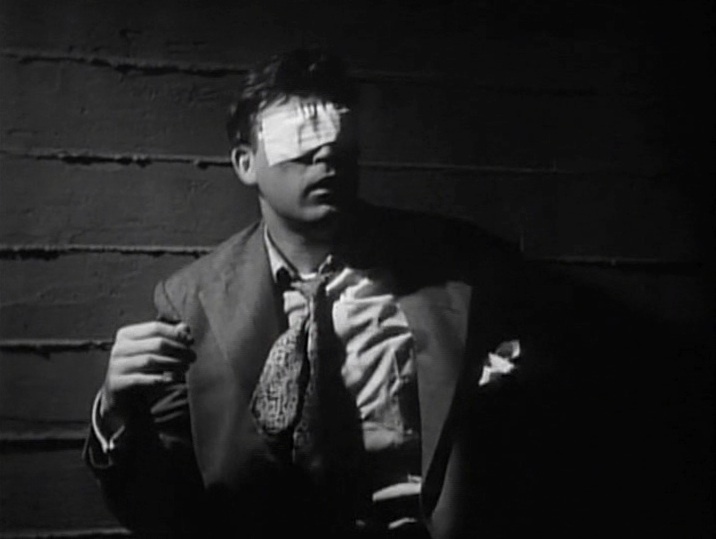 Events quickly spiral out of Quimby’s control, as they tend to in film noirs. He falls for his pretty neighbor, Mary Chanler (Cyd Charisse), who falls even harder for him, his murder plot goes badly awry, and before he knows it, he’s in up to his neck as a dogged pair of homicide detectives played by Barry Sullivan and William Conrad are on his trail. Tension isn’t exactly a realistic film, but it’s one of the most fun and twistiest noirs I’ve seen in a long time. Posted in 1949, November 1949 and tagged André Previn, Audrey Totter, Barry Sullivan, Cyd Charisse, Film Noir, John Berry, Lloyd Gough, Metro-Goldwyn-Mayer, Richard Basehart, William Conrad. Bookmark the permalink.